Reducing waste and understanding our cultural heritage is a beautiful thing! 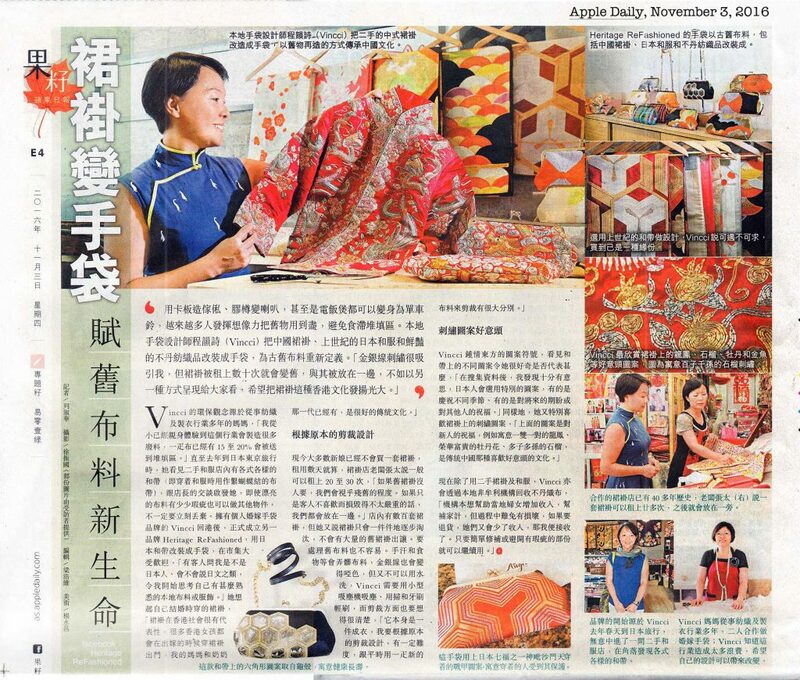 Thank you Apple Daily for featuring our work in upcycling and sustainable fashion, designed and made in Hong Kong. 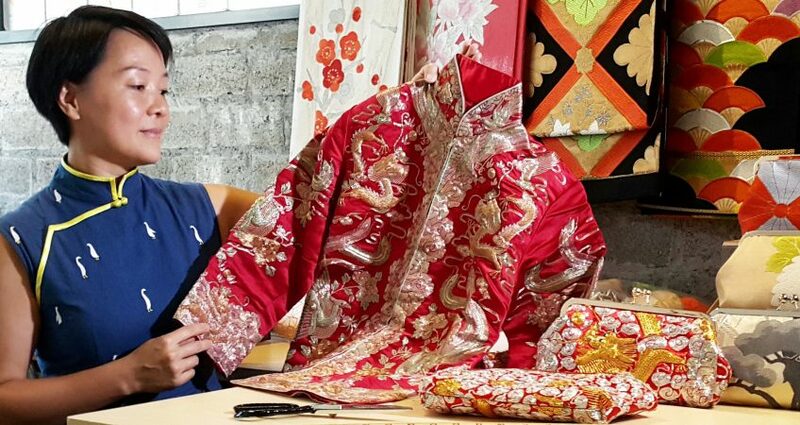 Here’s a feature on our work upcycling end-of-use rental Chinese embroidered wedding gowns and vintage Japanese kimono textiles into clutches and handbags.